The first evidence of Jarvie’s military career is found in the 4th June 1895 issue of the London Gazette. He is listed as a gentleman, who received a commission as a Second Lieutenant in the 3rd /4th Battalion of the Highland Light Infantry, dated to the 27th May 1895. Issue 13 of the Highland Light Infantry Chronicle (HLIC) noted that on 1st November 1895, he joined the battalion at Shorncliffe Camp, Kent, to undertake his provisional six month training. In February 1896 Jarvie attended musketry training at the Hythe School of Musketry and was commended for his marksmanship in Issue 14 of the HLIC. At the end of his training, the 28th July 1896 issue of the London Gazette announced his promotion to full Lieutenant. Shortly after this, Issue 16 of the HLIC reported that he had been detached from Shorncliffe, having received a first class certificate in musketry, and had been given leave to travel abroad. The first class certificate in musketry which he had obtained qualified him for the position of Instructor of Musketry to the 4th Battalion , to which he was appointed in the 7th June 1898 issue of the London Gazette, his predecessor having resigned his commission. The highlight of a Volunteer officer’s year was the annual training camp, where the whole battalion gathered for two weeks of refresher training. For the HLI this was usually conducted on Lanark Moor, where the men would camp in tents, carry out marching drill, route marches, shooting and sports. Vol 2 no 7 of the HLIC noted that Jarvie was amongst the officers who took part in the annual camp in June 1898. On 8th February 1899, the Scotsman newspaper reported that approval had been given for Jarvie to be attached to the regimental depot in Hamilton for 12 months. On 16th May 1899, the Glasgow Herald reported that Jarvie was to accompany 250 new recruits on a two week camp on Lanark Moor prior to the annual battalion camp in June. The annual camp that year was particularly exciting as the 3rd and 4th Battalions were inspected by their Honorary Colonel, the Queen’s son, Prince Arthur, Duke of Connaught. Both the Glasgow Herald and Issue no 11 vol 2 of the HLIC reported that Jarvie served as Colonel Thackaray’s aide-de-camp at the inspection and was one of the officers who lunched with the Prince in the officers’ mess afterwards. On 10th October 1899, The London Gazette announced Jarvie’s promotion to Captain. The very next day, the Second Anglo-Boer War broke out and on January 25th 1900, the Dundee Evening Telegraph reported that Jarvie had been attached to the 1st Battalion and was soon to depart for South Africa. The 1st Battalion had suffered heavy casualties at the Battle of Magersfontein (11th December 1899) and Issue no 13, vol 2 of the HLIC stated that he was leading a detachment of 50 NCOs and men to replace these losses. Jarvie’s movements in this period are very well reported. On 5th February the Scotsman reported that he had been ordered to join his detachment at Devonport and a week later the Dundee Evening Telegraph noted that Jarvie had departed Devonport with his 50 men and was to sail that afternoon from Southampton on the ship Majestic. These reports were confirmed in the 13th January issue of the London Gazette which attached Jarvie to the line battalion in South Africa. Volume 3 of Proud Heritage, the HLI official regimental history, states that in late March, reinforcements from the 4th Battalion (likely including Jarvie) finally caught up with the 1st Battalion in the Orange Free State capital of Bloemfontein. The very next day, the battalion had to make a forced march to join the Highland Brigade at Reitfontein. Many part time volunteers were unused to such forced marches and a number had to be sent back to Bloemfontein. Assuming that Jarvie was not one of them, he almost certainly accompanied the 1st Battalion on its march to Heilbron, during which they lost 70 men to constant harassment from Boer guerrillas. During this period, the 20th April issue of the London Gazette announced that Jarvie was granted the temporary rank of Captain while serving in South Africa. Presumably this made official his current Volunteer rank. However, less than a fortnight later in the 1st May issue, Jarvie was granted the regular rank of Second Lieutenant in order to replace Lieutenant C. E. Andrews. Some error seems to have occurred as the 1st May issue was cancelled by a notice in the 9th June issue. 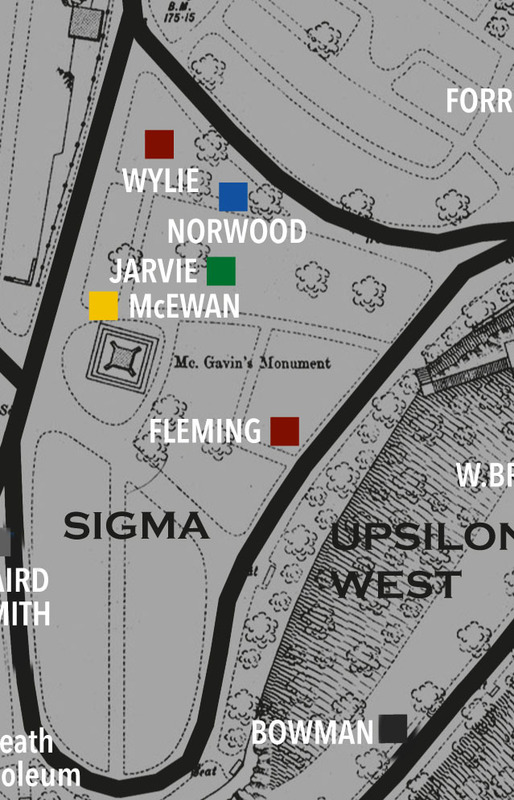 What exactly was the reality of Jarvie’s position out in the field is uncertain. The HLI’s roll for the Queen’s South Africa Medal lists that Jarvie qualified for the Wittebergen clasp, which required him to be in the area of Harrismith and Bethlehem in July of 1900. This means he probably took part in the HLI’s capture of Retief’s Nek on 23rd July. He may also have been present for the action at Spitz Kop on 15th August. However, on October 19th, the Morning Post reported that Jarvie had boarded the ship Britannic from Capetown on 6th October and was on his way back to Britain. On 16th November 1900, the London Gazette published a notice that Jarvie had been removed from the army, ‘the Queen having no further occasion for his services’. This dismissal immediately caused a minor scandal, with half a dozen newspapers printing the story. On 24th November, the Worcester Chronicle published the story under the headline ‘Officers Cashiered’. The manner of his dismissal and the reporting around it suggests that Jarvie’s military career may have ended in a court martial. The exact reasons for this were not published at the time as court martial records are subject to a 30 year closure. However a review of the records of the Judge Advocate General’s Office held at the National Archives in Kew may yield further information. By the end of 1900, Jarvie’s military career was over. When the next war broke out 14 years later, he was 41 and technically too old to enlist. However, he appears to have enlisted as a simple trooper in the 2nd King Edward’s Horse a new battalion, raised and funded by Sir Norton Griffiths, MP. Jarvie may have lied about his age to join up, but as he was physically capable and passed the tests, many examiners would happily have passed him. Furthermore, he may have omitted to state his previous service, since many battalions didn’t want court martialled soldiers in the ranks. However, the 2nd King Edward’s horse was made up primarily of ex-patriot Britons from the colonies and Jarvie’s family connections with Singapore and the Far East may have been a factor in his acceptance. Died at Clipstone House, Hounslow, Middlesex which was part of Hounslow Hospital. Presumably Jarvie died as a result of illness or an accident. John Jarvie (c1823-1879) and Elizabeth Bannatyne (c1833-1924), married 1866. The Statutory Birth Records of the Jarvie children all record their father’s occupation as ‘Foreign Merchant’. He is likely to be the same John Jarvie mentioned in the diary of naturalist Alfred Russel Wallace, who was partner in Hamilton, Gray & Co. alongside George Garden Nicol in 1854. 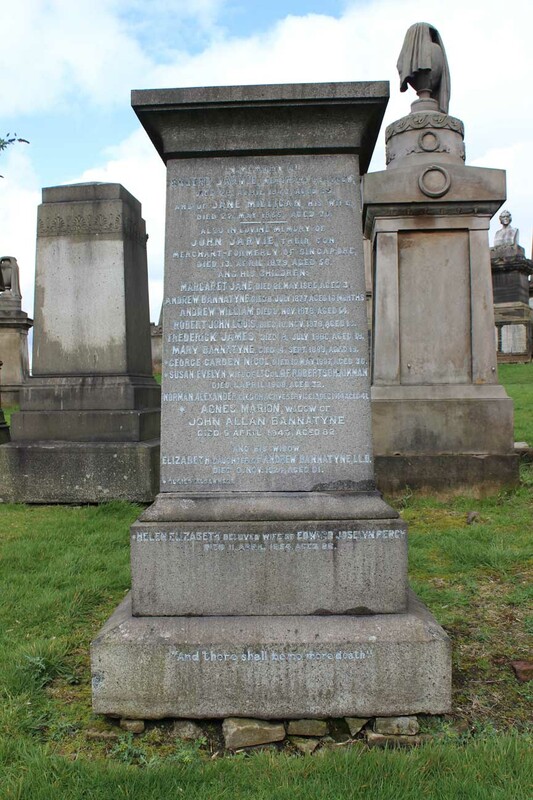 If so he is the same John Jarvie who was partner of the Glasgow based Jarvie, Henderson Company which was reported bankrupt in the Falkirk Herald on June 5th 1873. Edith Nora Ferguson (1873 – 1936). On 4th July 1903, the Folkestone Herald announced the wedding at Hukeley Church in Huntingdon on the 24th June 1903. Fettes College, Edinburgh, in 1887 he was a member of Glencorse House. The 1911 Census for England and Wales lists Jarvie’s occupation as an Actor, Though what kind of performances he made is uncertain. Lincoln Villa lodging house, Trinity St., Conway, Caernarfonshire. On holiday with wife in North Wales. Working as an Actor. Fettes College WW1 Roll of Honour. A Mr. & Mrs. Norman Jarvie are listed as passengers on the ship Derbyshire from Liverpool to Colombo, Ceylon (Sri Lanka) on 20th August 1903. This may be the newly married Norman and Edith. Furthermore, a Norman and (Nora?) Jarvie are listed as passengers on the ship Orient which arrived in London from Colombo on March 21st 1909. Oatts, L. B. (1961) Proud Heritage: The Story of the Highland Light Infantry. Volume 3. Glasgow: The House of Grant. Special thanks to the Royal Highland Fusilier’s Museum for access to copies of the regimental magazine: Highland Light Infantry Chronicle, vol.1 1896 and vol.2 1897-1900. 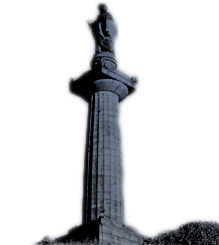 Compiled by a University of Glasgow student and edited by Morag Fyfe, Historical and Genealogical Researcher for The Friends of Glasgow Necropolis. Here - https://weddingphotoalbum.net - designed albums in UK.